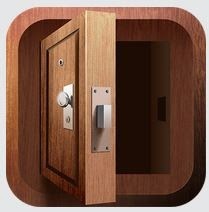 100 Doors 2 is the sequel to the famous point-and-click room escape game "100 Doors". 100 Doors 2 contains new interesting puzzles where you have to solve, use items, think outside of the box, and solve the room to advance to the next. This walkthrough solution will provide you with help, tips, hints, and detailed explanations to all the puzzles in the game. 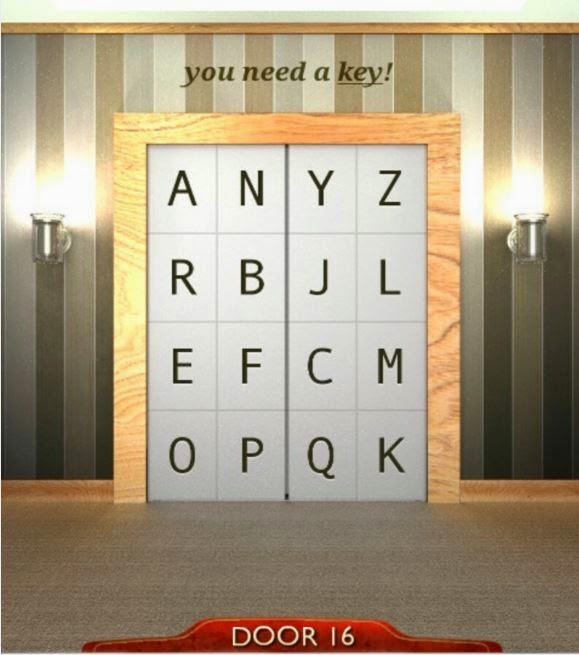 You can download the android version of 100 Doors 2 here. 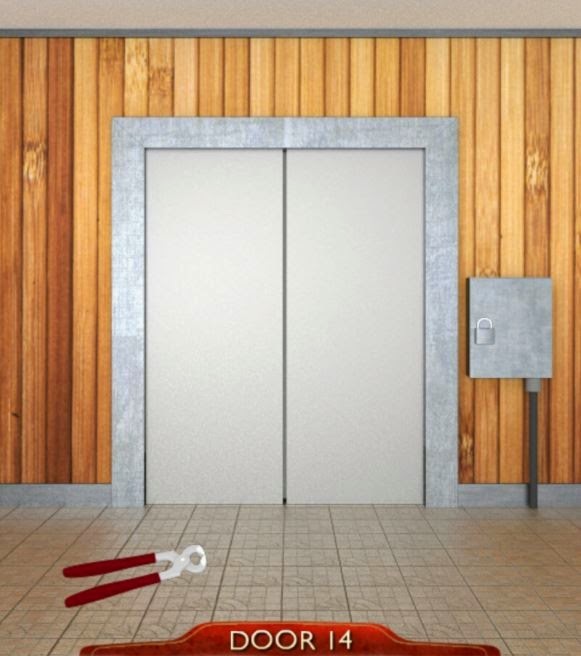 For the walktrough solution to other levels of 100 Doors 2, visit this link. 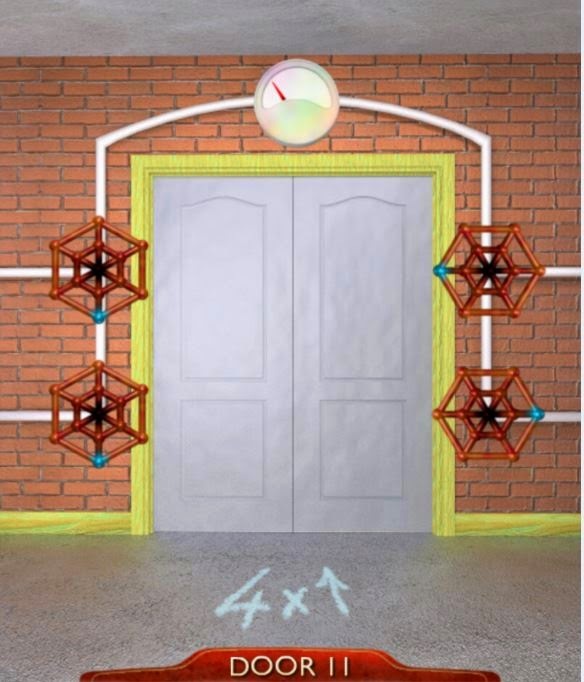 In door 11, you need to get all 4 "spider webs" to point up. You will notice a blue point for each web. The hint at the bottom shows all4 must point upwards. 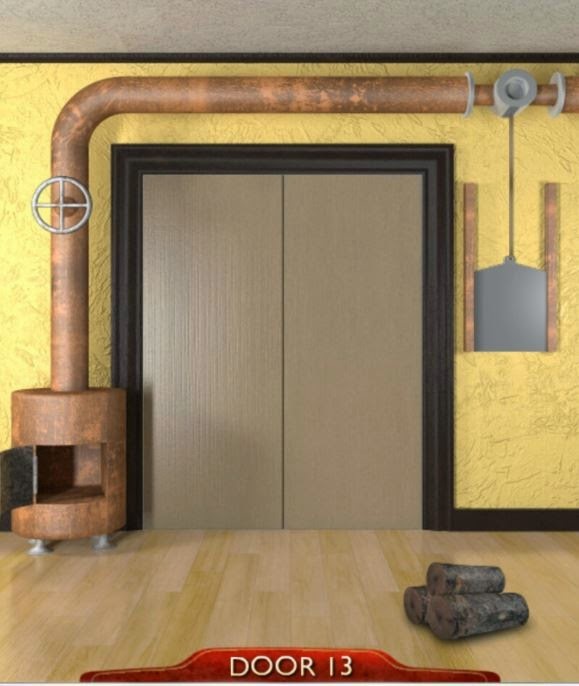 Door will open and you have solved level 11. Tilt your device so that the crowbar slides to the left. Once it stops you can pick it up. 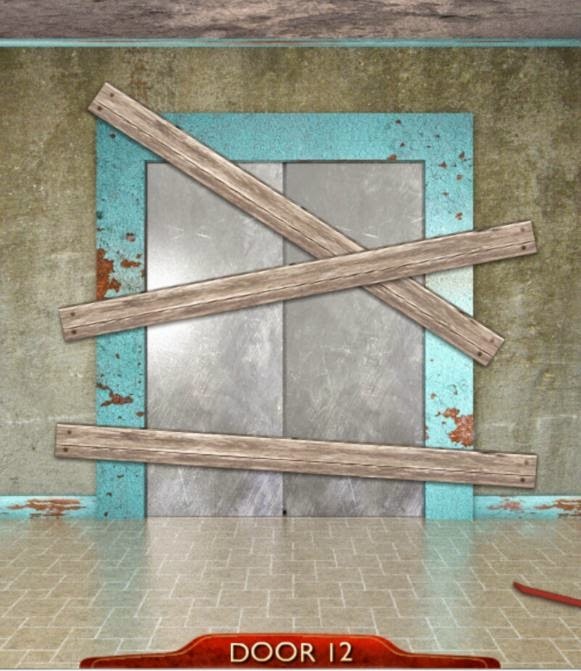 Use the crowbar to break the 3 planks. Tap the wheel above the oven. Tap the green button to solve level 12. Pick up the bolt cutter. Use the bolt cutter to cut the lock. Tap the box to open. 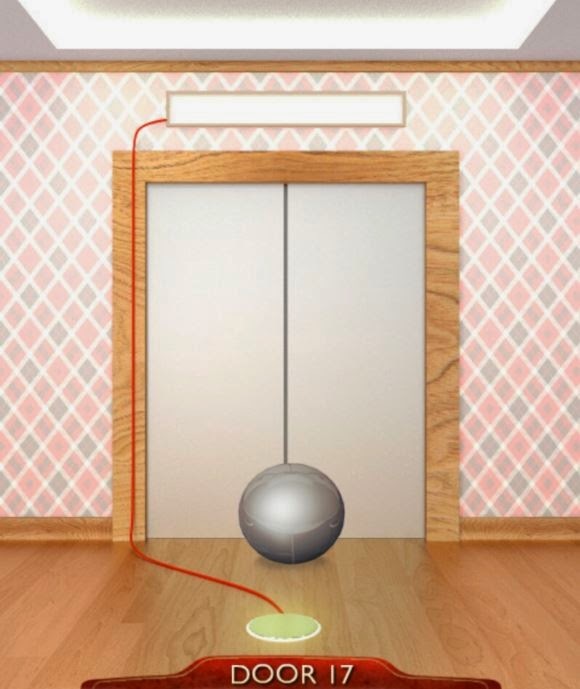 Tap the green button to solve level 14. Look at the arrows and numbers. Start from number 1 and work to number 8. If a number is on the left, the swipe the left door. If the number is on the right, then swipe the right door. Swipe in the direction of the arrow. 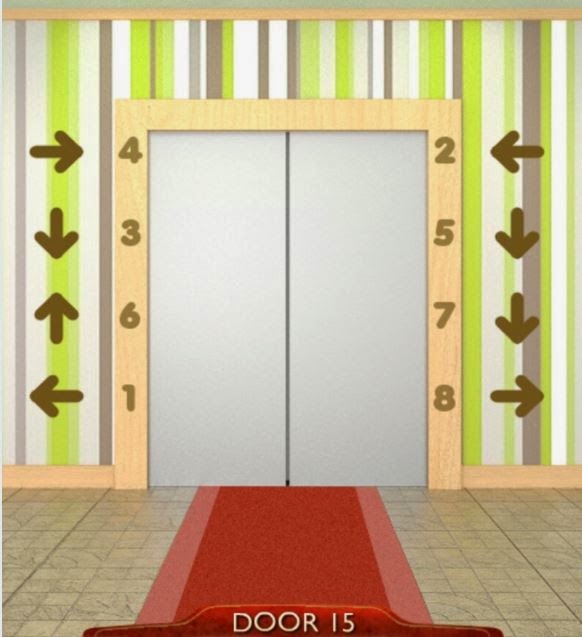 If correct, then after number 8 the doors will open. Tap the letters K-E-Y on the door as per the hint "you need a key!" Roll the silver ball onto the button. Keep it on the button until the white bar above the door is filled up. 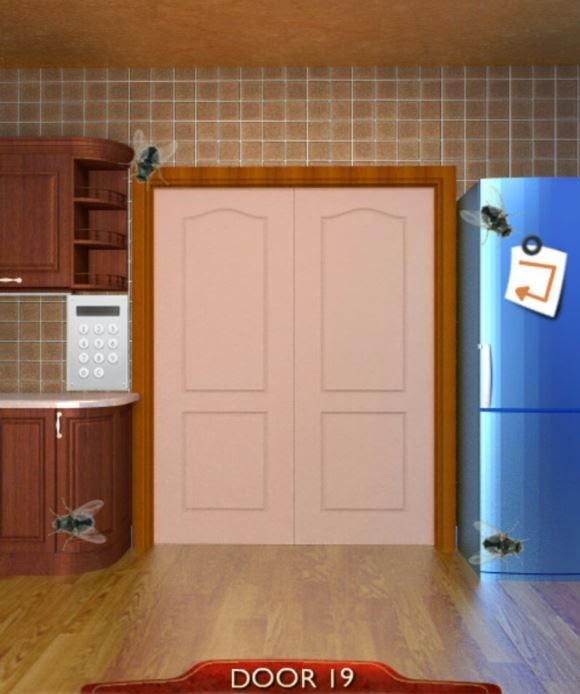 Look at the hint on the fridge to get the order of the flies: top left, top right, bottom right, bottom left. Tap each of the 4 flies in this order and count how many times it moves. Use this code to exit level 19. The hint above the doors tells you to work from smallest to largest. 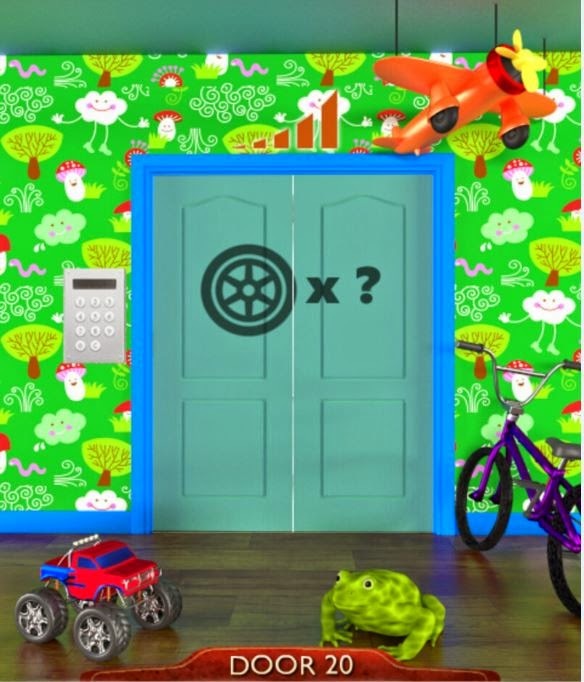 The hint on the door says "count the tires". So the code is 0422 for door 20. 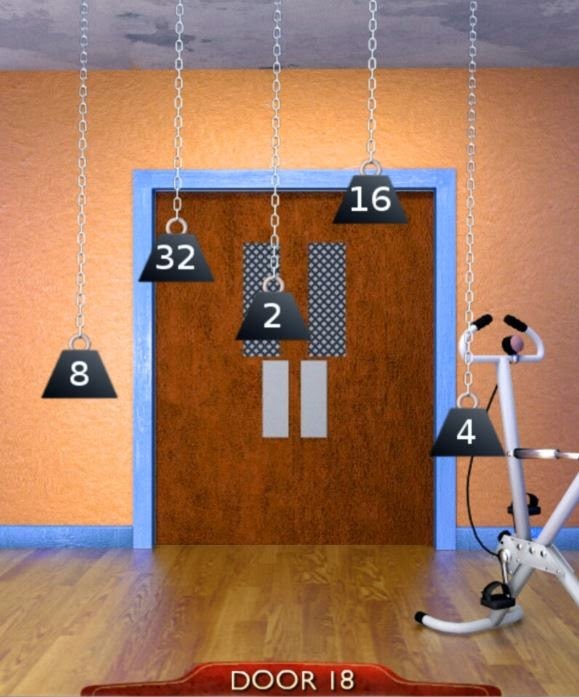 Well done on solving the first 20 levels of 100 Doors 2. Hope you are enjoying my walkthrough solution!